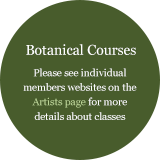 Following a teaching career, mostly with the visually impaired, Jackie returned to painting, gaining a Diploma in Botanical Illustration. 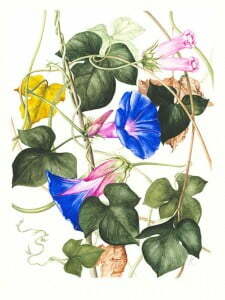 A Founder Fellow Member of the HCPFS and member of the American Society of Botanical Artists, exhibitions include: Mall Gallery, London; Arts Festivals, Surrey and Suffolk; HCP ‘Discovering Gardens’ and Florimania Exhibitions; RHS Exhibition 2009 (HCPFS Group exhibit silver medal award); International Exhibition Botanical Art, Pittsburgh, USA (current); Shirley Sherwood Gallery, Kew (forthcoming). Work held at the Hunt Institute for Botanical Documentation Pittsburgh, USA; Hampton Court Palace and in private collections. Working in watercolour on paper and vellum, Jackie welcomes commissions.